See a full list of all upcoming events that Viridiant is hosting or supporting. The full list of upcoming events will include any scheduled EarthCraft Building Professional Trainings. In honor of Earth Day, Viridiant’s celebration includes the Sustainable Leadership Awards, a Sustainable Homes Bus Tour, and the Earth Day 5K Race Without a Trace! To celebrate Viridiant’s 10th year hosting the Sustainable Leadership Awards, Viridiant has expanded this event into a conference to include concurrent sessions, a keynote and our annual awards. Viridiant’s Building Sustainability Conference and Awards aims to educate and recognize innovative solutions of today to meet the needs of the evolving building industry of tomorrow. The conference will feature sessions and speakers, bringing together cross-discipline industry experts to share knowledge, inspire discussion, and drive change in the protection of our living environments, both inside and out. 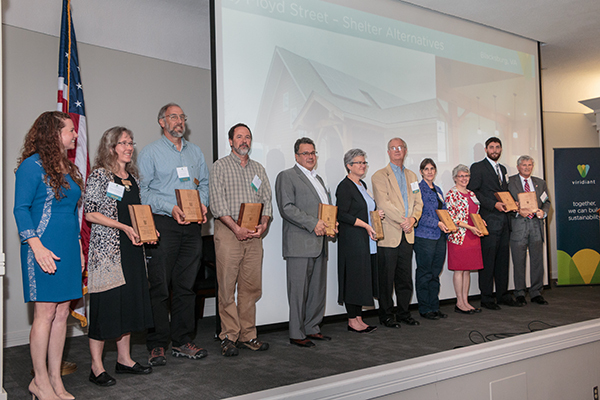 The Sustainable Leadership Awards will be presented to recognize the region’s leaders in high-performance construction with a focus on projects, programs and initiatives that represent the future of sustainable building. This conference gathers together individuals who are working, studying, or interested in the intersection of humans and the built environment to include health, housing, policy, and government sectors. 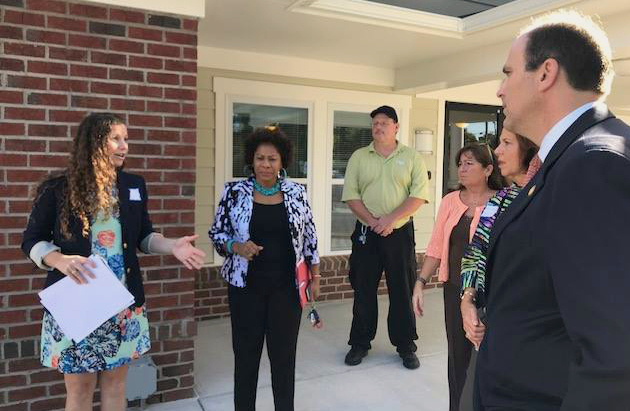 After 2018’s successful inaugural tour, Viridiant will host a self-guided tour to include stops at a variety of building types – single-family, multifamily, and/or commercial. 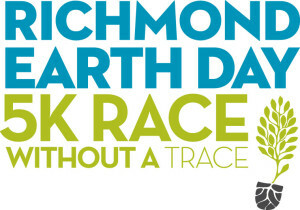 The third and final day of Viridiant’s Celebration of Sustainability includes our family friendly, community-focused Earth Day 5K Race Without a Trace, showing off the best the city has to offer. Run, walk or stroll down the Virginia Capital Trail and see the beauty of the James River and its downtown surroundings. Learn easy ways to help the environment along the course and finish just half a mile from one of the best events of the Spring. That’s right, this race takes place in conjunction with Party for the Planet at Historic Tredegar, so when you cross that finish line, you’ll be steps away from the festival’s live music, vendors, food and drink, demos and plenty of educational information and activities. The race name says it all – our goal is to combine one of the city’s most environmentally friendly races with the most fun possible. Let us show you what the riverfront is all about! Viridiant hosts regular lectures and webinars focused on building science, site-visits, and more. All lectures are posted in our events calendar as they are scheduled.